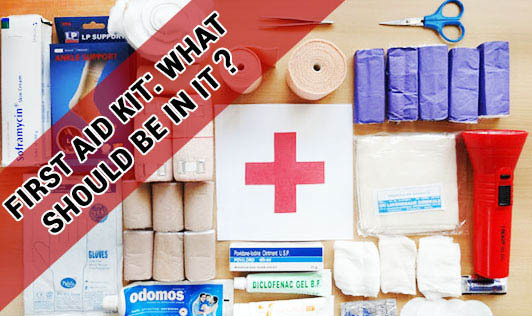 First Aid Kit: What Should Be In It? Did you cut yourself and search your whole room for a band aid? This is a common scenario in many house-holds. To prevent this, maintain a well stocked first aid kit. It is very effective in common injuries and emergencies. Store your kits in easy-to-retrieve locations that are out of the reach of young children. You can assemble your own kit. • Emergency phone numbers, including contact information for your family doctor and paediatrician, local emergency services. Check your first-aid kits regularly, at least every three months, to be sure the flashlight batteries work and to replace supplies that have expired. This is always useful in an emergency! Be safe!